The weight of a diamond is expressed in carats. One carat = 0,2 grams and one carat equals 100 points. Which means that 10 pointer diamond weights 1/10 of a carat usually denoted as 0.10 ct.
All diamonds have traces of their growth history. Microscopic inclusions are an integral feature of gemstones. The clarity scale reflects the size, number, location and visibility of the characteristics when examined with a loupe 10x. The very best and rarest clarity is loupe clean. Most inclusions, however, are not visible to the naked eye. Diamonds that have no inclusions visible to the unaided eye are also of excellent value. Brilliant cut diamonds are referred to as round diamonds. 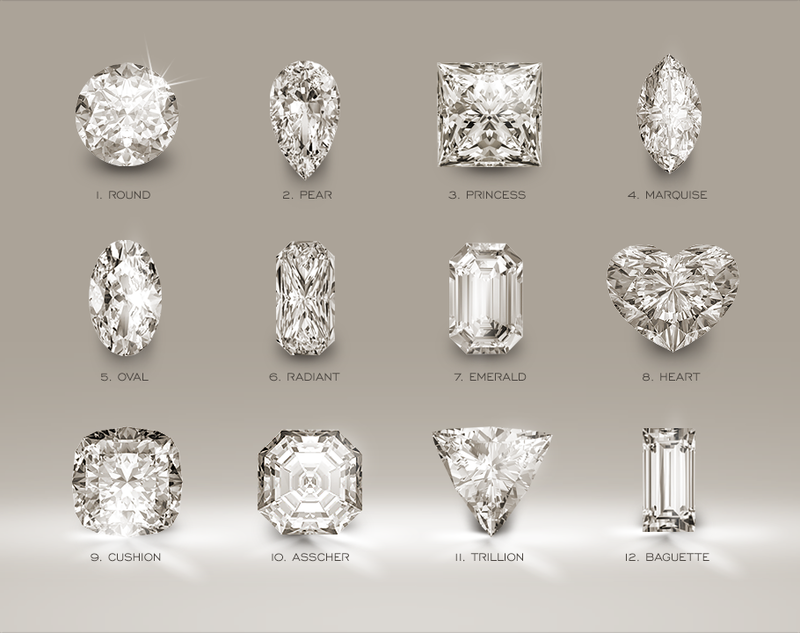 Other popular shapes are oval, marquise, pear, heart, emerald and princess. Diamond cut quality is determinative for the brilliancy and the fire of the diamond. Full cut diamond has 58 facets ( 56 facets, table and culet.) Low quality cut can depreciate the value of a stone even more then 50%. Evaluation of the cut is the most crucial part in diamond evaluation process. o.